Are you a Data Science / Engineer with passion for new cloud technologies? 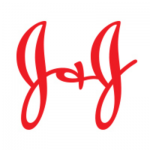 J&J Technology Services is looking for Sr. Manager – Data Science / Engineer, focus on Machine Learning Platform Operations based in Raritan, NJ. As a Data Science/ Engineer on Data Technologies team, you will develop new patterns that use a new cloud architecture to help different business functions to design solutions that use the first and second tiers of our ML stack. The team will build the next generation data warehouse and data lake platforms and to drive the adoption of new technologies and new practices in existing implementations. You will be responsible for designing and implementing the complex ETL pipelines in data platforms to support the rapidly growing and dynamic business demand by leading customer engagement including: architectural design sessions, specific implementation projects and/or Pilots. Design, implement and support data Platform infrastructure providing ad-hoc access to large datasets and computing power. Responsible for engineering approaches of running Hybrid Data Platforms. Leading cloud resources including AWS EC2, RDS, Redshift, Azure Blob store, Azure SQL DW, DataBricks, ADLS, ………. Work with other technology teams to extract, transform, and load data from a wide variety of data sources. Apply technical knowledge and customer insights to create data modernization architect solutions to meet business needs, ensuring technical viability of new projects and orchestrating key resources and infusing key data technologies. Master’s in STEM or related discipline, e.g. statistics, operations research, computer science, mathematics. 10 years of meaningful work experience in data engineering or Data Scientist. Experience with data modelling, design patterns, building highly scalable and secured analytical solutions is required. 5+ years of success data on cloud programs complex technical implementation and deployment. Proven experience with machine learning methods and statistical packages as applied to data analysis within open source scripting languages (e.g. R, Python) is required. Experience in ‘digital native’ company applying real-time advanced machine learning analytics, artificial intelligence, and/or natural language processing-based methods throughout operational workflows is required. Experience in customer facing roles and success leading deep technical architecture discussions, IT Management and Developers to drive cloud deployment and modernization plans. May require up to 10% domestic and international travel.